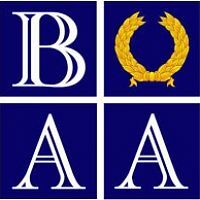 Established in 1976, the British Archaeological Awards are a showcase for the best in British archaeology and a central event in the archaeological calendar. 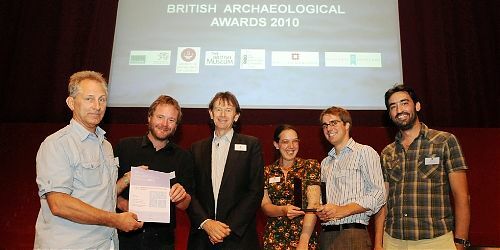 Yesterday’s ceremony, attended by the DCMS Minister for Tourism & Heritage John Penrose MP, and hosted by historian and broadcaster Michael Wood, was a key event within the Council for British Archaeology’s two-week Festival of British Archaeology. 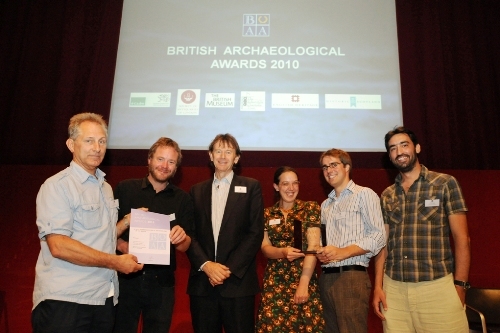 The Thames Discovery Programme website won the award for the Best Representation of Archaeology in the Media, beating off strong competition from Time Team and Radio 4! This is a huge achievement – congratulations to everyone but particularly to Lorna Richardson at TDP and Andy Dufton at L – P Archaeology for all their hard work on the website. Big thanks go to all of YOU for writing FROGBlogs and Riverpedia articles, posing for photographs and being interviewed on camera, attending events and fieldwork, and of course visiting the website and enjoying the content!